Review: Aritaum All Day Lasting Primer SPF44 & Foundation SPF30 | Memorable Days : Beauty Blog - Korean Beauty, European, American Product Reviews. Hi all! 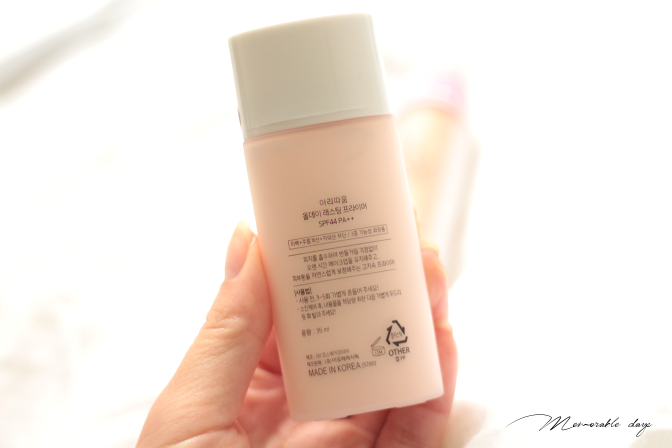 I'm here today with a review of two products from Korean brand, Aritaum! 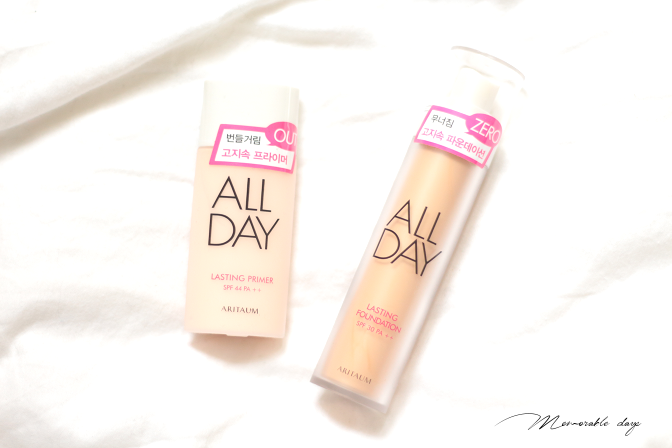 I will be reviewing the All Day Lasting Primer SPF44 PA++ and the All Day Lasting Foundation with SPF30 PA++. I've been loving Aritaum products for the past two years, so I couldn't wait to try these. Now I've been using these two products for 4 months (not every day) and I can finally write my full review about it. Check it out in today's blogpost. This is a primer that you should apply on the skin, as your first step before applying any make up. It contains whitening ingredients, has anti-wrinkle care and UV rays block because it has SPF44 PA++. It claims to absorb sebum and it gives the skin a silky texture. It also naturally fixes uneven skin tones. This primer has 35ml of product. 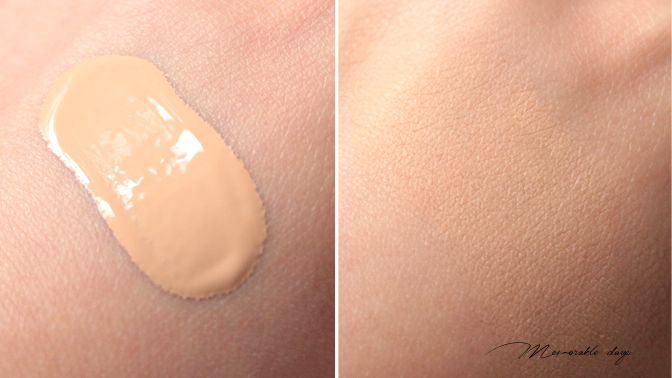 Make sure your skin is moist before you apply this primer. It has a very thin, liquid texture, light scent. The shade is light pink. It only comes in one shade. You only need a little bit to cover the face, so make sure you don't apply too much. I love how the finish is, it's very soft and it applies very smoothly, very good as your base make up. I am using this with the all day lasting foundation and I do get the feeling that it last a little bit longer than without the primer and it controls my sebum slightly longer, but unfortunately it's not a drastic change. It's probably a difference of one hour or something. This also has to do with the climate of the country where you are in though. Currently, it's pretty cold in The Netherlands, so no sunshine or hot weather here =(. I bought it in the color natural beige (yellow undertone), but it's also available in the color light beige. It claims to be a long lasting foundation with a silky skin texture. It lightly adheres on skin and covers freckles and dark spots. It has whitening ingredients, anti-wrinkle care and it's a UV rays block since it has SPF30 PA++. It also contains ingredients that controls sebum. I purchased this foundation after I read this description, it sounds very good right?! The product is big and contains 40ml. It comes in a pump so it's easy to get the product out. It's a liquid foundation with a pleasant light scent. You got to make sure that your skin is moist, otherwise you will be able to see dry patches on the skin. It has a very natural tone and I don't look like a ghost after applying this onto my face, it adheres to my skin tone which is great. 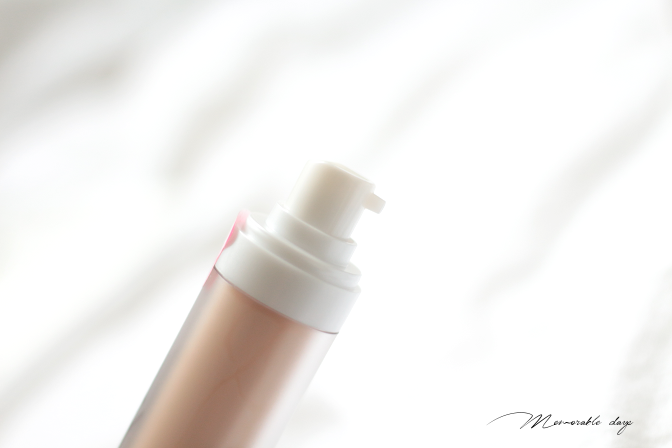 It has a medium coverage, is buildable to a full coverage but it might look a bit cakey if you apply too much, so be careful with the amount you put on. It glides easily onto the face leaving a natural, matte finish. I don't have a feeling that it does much for sebum control. Make sure to apply a powder afterwards, otherwise it can smear during the hot days or when your face is very oily. Therefore, powder and touch ups are needed when having this foundation on. 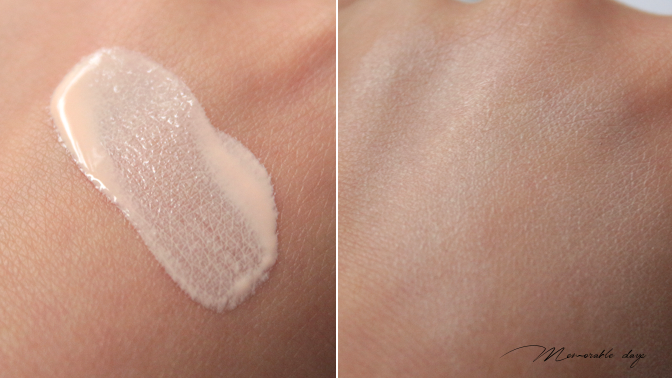 The lighting is slightly different compared to the picture above, but this is how the shades look in real on my skin. The best way to apply this foundation is with a sponge or with a good foundation brush. If you don't use a good foundation brush, it may look streaky. I used a sponge in the picture below. 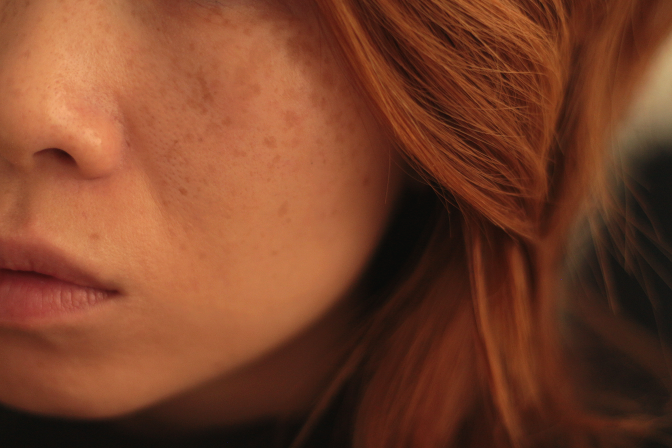 As you can see, it covers my freckles pretty well, not fully, but it's less dark, less noticeable. These pictures are not photoshopped. 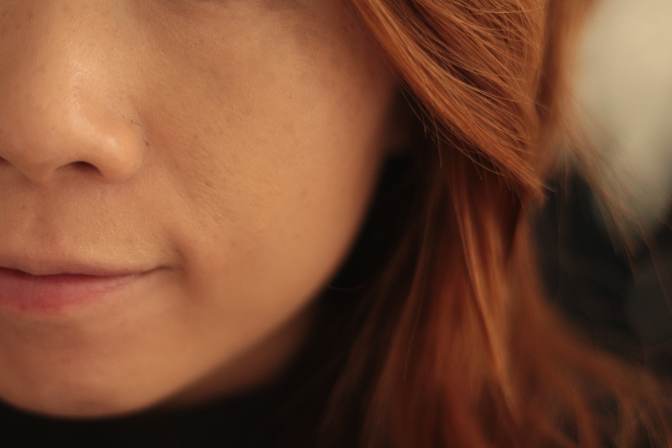 during the day, so it does smear a bit which is why I need to touch up. Would I purchase this again? I wouldn't purchase the primer again, since it didn't give a drastic change on sebum control. The foundation is nice, but I actually prefer the Aritaum full cover BB cream way more and that concealer of the full cover line is very good as well. I was hoping this foundation would be better but nope. I bought both products at w2beauty.com, the lasting primer is sold for there for 12,77 euros and the lasting foundation for 17,22 euros. Both very affordable I would say.